The Force is strong with these Christmas gifts. There’s a great range of Star wars related science toys out there under the name of, surprisingly, Star Wars Science, and they’re a cool and quirky idea for older geeks and an awesome idea for kids. Helping kids to learn a few scientific facts via the medium of Star Wars is a great thing, I mean, wouldn’t science classes be much more fun if they involved droids and force trainers? Actually, they’d be even better if everyone had to wear Jedi robes and could learn how to make lighsabers, but I digress. There are some awesome toys available in this range, which would make great Christmas gift ideas for the geeks in your life no matter their age. 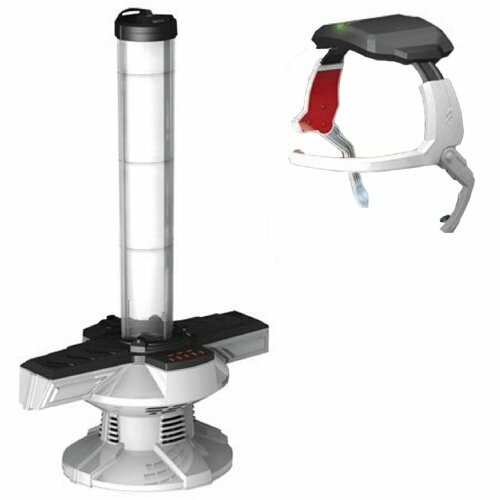 The most popular right now would be the Star Wars Force Trainer toy, which allows the user to control the Force Trainer WITH THE POWER OF THE MIND. Sorry, that should be MIIIIIIIND. Other awesome toys in this range include the Star Wars Science Jedi Telescope and the equally geektastic Star Wars Science Optical Command Unit. These are sure to have your Star Wars fans yelling ‘Utini’ at the top of their voices this Christmas.